Like people everywhere, the Aztecs gave names to places where they lived. These were, most importantly, communities and neighborhoods, but prominent features of the landscape such as mountains, lakes and rivers were also flattered with names. Placenames are fun, fascinating and revealing - they offer us little glimpses into the people’s culture and language (in this case, Nahuatl). What can Aztec placenames tell us about the people’s cultural priorities and language use? Can they give us an idea of what they considered important to their way of life, and what they observed as notable in their local environments? Yes, indeed! So how did Aztec people decide what to name a place? (We should keep in mind, by the way, that usually we really don’t know who actually named a place – a leader? priests? a group decision? who knows?). 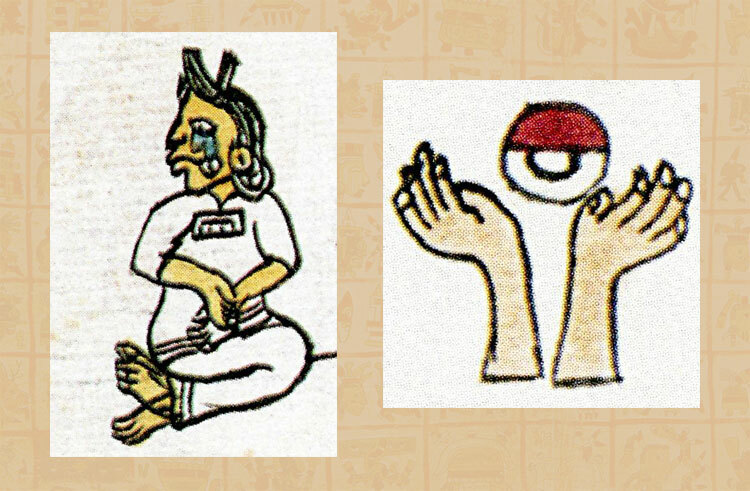 Nonetheless, the Aztecs had a strong sense of history, and many places experienced rich and interesting histories. These histories were sometimes reflected in their names. For instance, Yaotlan means ‘Place of War’, and Cahualan refers to a ‘Place of Many Forsaken Women’. Matixco was ‘In the Place of Escape’, and Yancuitlan means ‘Place of the New Town’. Each of these names suggests notable (and sometimes rather exciting) events in the history of the place. Environmental events were also memorialized in placenames: Olinalan means ‘Place of Movement’ or ‘Place of Earthquakes’ and Teçiutlan will always be remembered as a ‘Place of Much Hail’. Places were also named for special environmental features or resources. Ahuacatlan was a ‘Place of Avocados’, Acatepec was ‘On the Hill of Reeds’, and Teocuitlatlan means ‘Place of Gold’. So in these cases we could expect to find avocados, reeds and gold in the towns or nearby. These types of names are actually quite common, identifying features from cultivated fields and caves to a red hill and a stone quarry. Names based on resources also abound, including precious stones and metals, rabbits, deer, salt, obsidian, turkeys, grasshoppers, aromatic flowers and many different kinds of birds. Other names give us insights into the people and their lives: so we find Cuicatlan (‘Place of Song’), Comitlan (‘Where There are Many Pots’) and Amatlan (‘Where There is Much Paper’). An important aspect of their lives was their religion, and we also find names honoring gods: Yztac tlalocan (‘On the White Tlaloc’), Xolotlan (‘Place of Xolotl’) and Tonanytlan (‘Place of Tonantzin’). Some other town names identified a prominent ethnic group, such as Otompan] (‘On the Otomí’) and Yopico] (‘In the Place of the Yopes’). 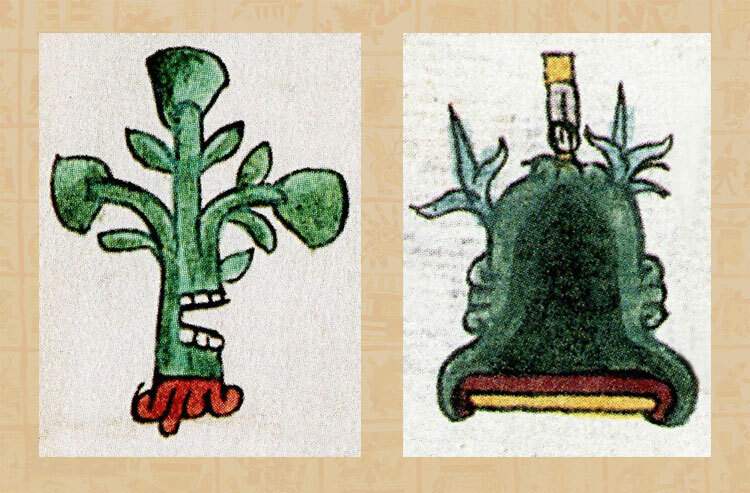 As you have probably already noticed, most of these names are created by combining a name of people, things or events with an ending that identifies these things as places: Ahuacatlan: Ahuaca(tl) = avocado, tlan = place of. 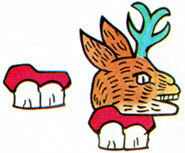 In this case, the avocado tree is drawn as a tree that a person would identify as an avocado, but the ‘place of’ (tlan) is represented by a set of teeth, called tlantli in Nahuatl. It is difficult to draw ‘place of’ (try it! ), but easy to draw teeth, and since the words sound the same, the teeth were chosen to represent ‘place of.’ This clever device was used often in writing placenames, where a banner (pantli) stood for pan (on) and in some areas a pot (comitl) was drawn for co (on). A great many Nahuatl names continue to identify places in Mexico to the present day. Following the Spanish conquest, several Nahuatl names were combined with Spanish saints’ names, so now we see names such as San Bernardino Contla, Santa María Apaxco, and San Martín Cuautlalpan. In other instances, the indigenous names have continued to today, but often with some spelling changes to accommodate the Spanish language. So the names Texcoco and Tepotzotlan have survived relatively intact, but Cuauhnahuac has been fitted to Spanish sounds and today is Cuernavaca. Likewise with today’s Taxco (Nahuatl Tlachco) and Oaxaca (Nahuatl Huaxacac). And some placenames, of course, are of purely Spanish origin (such as Puebla, Monterrey and Morelia). Today’s Mexico City (México) sits atop famous Tenochtitlan (‘Among the Stone Cactus Fruit’), but while the Aztec name is no longer used for the city, the new name nonetheless immortalizes the Mexica people (and, indeed, serves as the name for the entire country). 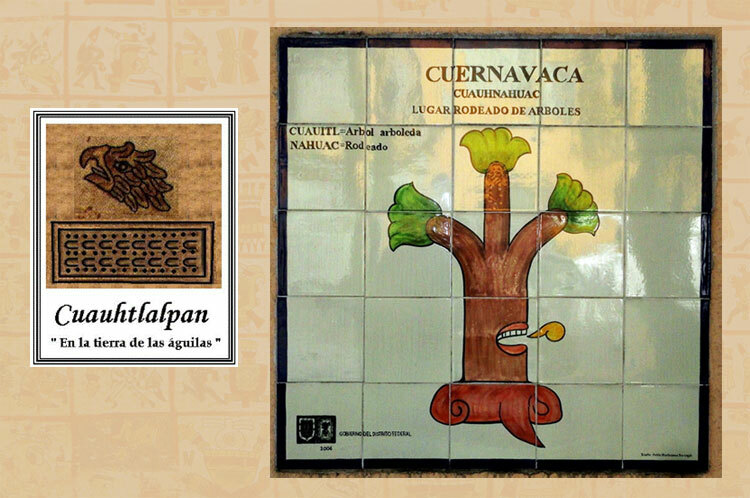 • Pic 6: images downloaded from the internet: (L) based on the Coatlinchan Codex, (R) Cuernavaca’s official place sign. • Pic 7: image from the Codex Mendoza scanned from our own copy of the James Cooper Clark 1938 facsimile edition, London. Many towns in Mexico have a Spanish nam, usually a Saint, and an indigenous name. You can tell something about the town from its Indian name, for instance...Tlaxcala means the place of the cornbread (tortilla), I live in Apizaco, (little creek). Nearby is Santa Ana Chiuatempan (edge of the swamp) and probably 6 or 7 hundred years ago there was a swamp. Thank you very much for providing the name! It’s interesting that there was a real place with that name. Is it known where the real “Zinacantlan” was (or is) located in Mexico? In case you were wondering, my hometown is Austin in the state of Texas in the USA. I’m writing a novel set in the Aztec world and most of the action takes place in a fictional town closely based on Austin. Therefore, I wanted to find a suitable Aztec name for the town, and you all have helped me out greatly! Please keep up the amazing work on your website. Mexicolore replies: Cheers, Katia! The Zinacantlan mentioned in the Codex Mendoza is (today) a small town located 8 kms west of the state capital of Chiapas, San Cristóbal de las Casas, with a long history going way back before the Conquest. You can find it listed as ‘San Lorenzo Zinacantán’ in Wikipedia. Thank you all so much for writing this article! 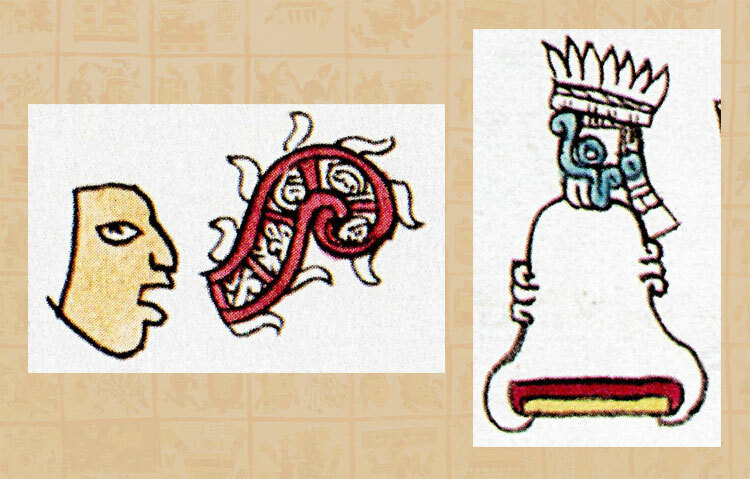 Like in any culture, the place names are loaded with meaning in the Aztec world. A fitting Aztec name for my hometown might be “Place of many bats” for the huge colony of Mexican free-tail bats that inhabit the bridges across the lake. Just out of curiosity, what would “the place of many bats” be as an Aztec place name? Mexicolore replies: Well, surprise surprise, there IS a place listed in the Codex Mendoza with exactly that name! It’s Zinacantlan ‘Where There Are Many Bats’; we’ve put in the glyph for you, above (pic 7). The glyph shows a hungry-looking (vampire?) 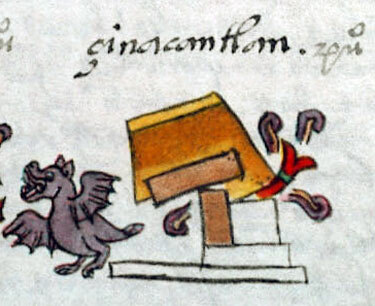 bat in flight, and consists of tzinacan (bat) and tlan (abundance of).